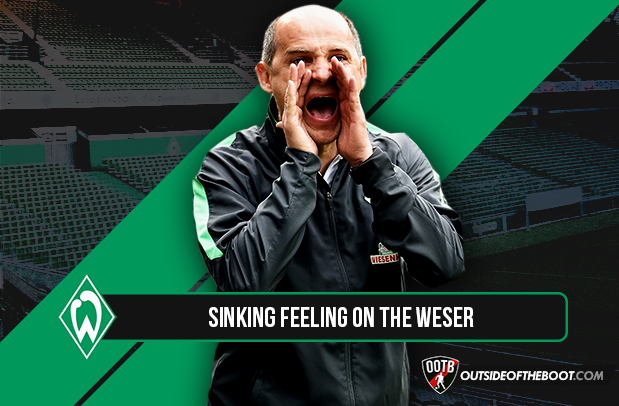 Werder Bremen: Impressive Business yet sinking feeling? Alex Blinston writes about his latest love affair- one with Werder Bremen. Junusovic with the free-kick, in to Pizarro, on to Ujah and Djilodobji, it’s in, it’s in! Never had the Weserstadion erupted to the sound of the Proclaimers’ 500 Miles quite like that last day victory over Eintracht Frankfurt. They had done it; Viktor Skrypnyk’s side had dragged themselves out of the relegation abyss in the most dramatic of fashions. After the jubilance of survival in that manner passes, the realisation that changes need to be made normally follows: Werder were no exception. Skrypnyk’s Green and Whites were hovering above the relegation trapdoor for far too long only for 10 points in the final five games to save them; the same won’t be acceptable this time around. It was inevitable that a change would me a made on the Weser this summer, the casualty that many predicted was Skrypnyk. The Ukrainian who used to man the green and white as a player had suffered an indifferent time at the helm. To guide Werder to safety after the Robin Dutt catastrophe was laudable, but Skrypnyk needed to build on that success in the 2015/16 season. 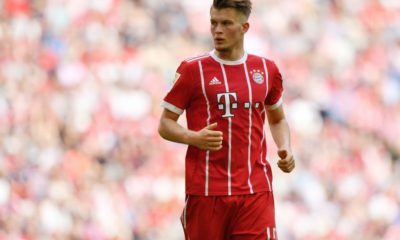 Instead Werder took a significant step backwards and the opinion that the Ukrainian was not the most tactically astute was reaffirmed. So, who was the casualty? General Manager, Thomas Eichin. I’ve just given one side of the Skrypnyk argument. 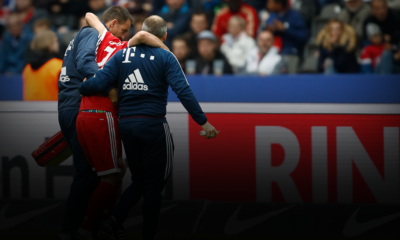 While there are obvious tactical blemishes, he showed the ability to rejuvenate players – few have enjoyed late renaissances like Claudio Pizarro – and has had no issue in promoting bright youth starlets either. 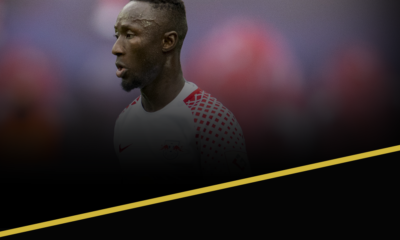 For all of the fears throughout the season – they weren’t without justification let’s make that clear – Skrypnyk managed to get his side firing when the lights were shining brightest. So why was Thomas Eichin the one who suffered the fatal blow? When Eichin joined Werder in 2013 he was faced with difficult circumstances. Following in the footsteps of Klaus Allofs – the general manager in Bremen for the glory years of the mid-noughties – and the reign of Thoams Schaaf ended three months after his arrival. Eichin faced an uphill battle. He stabilized finances and shipped much of the deadwood that was beginning to rot Die Werderaner off, in many cases for respectable fees. However, there were in this Werder side last season and the fact that Skrypnyk had to rely on a 37-year-old to carry the side speaks volumes. In terms of goals conceded, Werder (65) finished second only to the relegated Stuttgart (72). Of course there were flaws in Skrypnyk’s game plan, to concede that many goals it’s indisputable, but the defence was threadbare and in front of it there was never a dominating midfield enforcer. So, out went Eichin and in came one of Werder’s own, Frank Baumann. Those upstairs are Werder through and through; they bleed green. Marco Bode (chairman) spent his whole career at Werder and many members of the board have long running careers at the Weserstadion. Baumann is cut from the same cloth, after a ten year playing spell. The former captain and Bundesliga winner with Werder went upstairs only to leave last June, now Baumann is back home. As Eichin turned the books around, spending was limited with his largest signing being that of Anthony Ujah from FC Köln for €4.5m. There was lots of movement in and out of the Weserstadion doors but all too often the arrivals didn’t cut the mark and just didn’t look up to the rigours of the Bundesliga. While it doesn’t match Premier League spending, Werder have – relatively speaking – kicked on with their summer additions under the new guidance of Frank Baumann. There is only one place to start: Max Kruse. While €7.5m may not seem a lot in the global game, Werder have only spent a greater amount on two players in their history – Marko Marin (€8.2m) and Carlos Alberto (€7.8m) – and given that Kruse has been a recent member of the German national side, this is a real marquee purchase. As showcased with the aforementioned duo of Marin and Carlos Alberto, big spending doesn’t guarantee big results but bringing Max Kruse back north has all the makings of a masterful piece of business for Baumann. The now departed Anthony Ujah and Fin Bartels chipped in with eleven and eight goals respectively last term but the goalscoring burden fell heavily on the shoulders of Claudio Pizarro; the arrival on Max Kruse will certainly help to resolve that problem. Kruse can play just off the Peruvian or right up front in a striking tandem. In his last four Bundesliga seasons Kruse has accrued 40 goals and 32 assists, the perfect blend for a no.10 – in two of those seasons the former Freiburg and ‘Gladbach man led the league in key passes; he certainly earned that Nutella. It isn’t just Max Kruse that has caught the eye, however. There have been nine fellow arrivals at the Weserstadion, largely on modest fees. Lamine Sane, Niklas Moisander and Fallou Diagne have bolstered the defence with the centre-back pairing of last season, Papy Djilobodji and Jannik Vestergaard, heading for pastures new. The trio bring experience and in Sane in particular, some real quality after strong displays in Bordeaux over a seven year spell. Further up the pitch there have been a number of incomings. Robert Bauer, on the back of winning an Olympic silver medal, has joined from Ingolstadt. 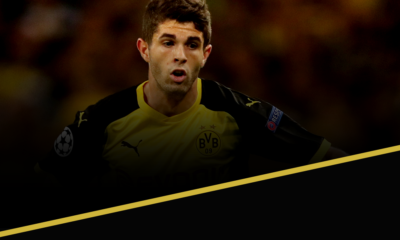 Able to play at full-back, in advanced areas out wide or in central midfield; Bauer’s versatility will be invaluable. Lennart Thy and Justin Eilers have joined from second tier sides St Pauli and Dynamo Dresden respectively, Thy returning after four years away at the Millerntor. Florian Klainz is a player who comes with a degree of unknown for those that are not regular viewers of the Austrian top flight but all the indications are that he is an exciting winger with a lot of promise – the 23-year-old registered 11 goals and 21 assists last season. So, there have been all these arrivals, not neglecting the rule of quality over quantity either, but still there is a real fear regarding the immediate future of one of Germany’s biggest clubs. The DFB Pokal is the first competitive game for Bundesliga clubs while the lower divisions are already in full swing; slack fitness and sharpness can be excused but the quality should show. Werder were only one of two top flight teams to take the mighty fall. Sportfreunde Lotte – no I hadn’t heard of them either – defeated a Bremen side featuring Junusovic, Kruse and Bartels. First round cup exits have become conventional for Werder – last season was the exception not the rule – but this loss sounded the alarm bells, which have only become more emphatic since. Losing to Bayern Munich at the Allianz Arena is just as expected as a first round cup exit to the Werder faithful, but there are manners to fall to the mighty Bayern; Viktor Skrypnyk’s men did it in the worst possible way. Six goals conceded, calamitous defending and two shots on target: humiliating doesn’t even cut it. Werder didn’t get close to Bayern’s midfielders and Aaron Johansson could have stayed at home with his feet up and have been equally involved. Granted, there was no Juno, Pizarro or Kruse but blimey I’m worried. I took a trip to Bremen in January to watch the 3-3 draw with Hertha and Werder Bremen was a club that stole my heart. I was lucky in love last season as I got to witness the relegation battle that simply had it all. I can’t endure that again this season and quite frankly I don’t want to; Werder need to progress this year and at least show signs of returning to their former glory. When Skrypnyk’s men return from the international break the next four games are Augsburg (H), ‘Gladbach(A), Mainz(H) and Wolfsburg(H). There are certainly easier schedules but Werder will need to begin to get some points on the board. If Viktor Skrypnyk may well be joining Thomas Eichin as one of Frank Baumann’s casualties.